Better Care. Better Life. In Your Home. Bienvivir All-Inclusive Senior Health is a community-based health-care program developed to serve the frail, elderly population of El Paso. Utilizing the National Program for All-Inclusive Care of the Elderly (PACE) as the model of service, Bienvivir serves those who qualify for Medicaid and Medicare and provides comprehensive care at three facilities in El Paso. 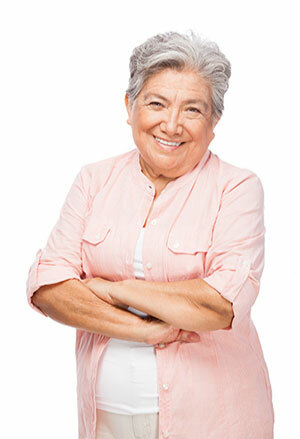 At Bienvivir, personalized care gives you or your loved one a happier and better health outcome. Our PACE program offers participants an alternative to traditional care facilities by enabling them to live at home, while providing a full spectrum of services. We provide an Interdisciplinary Team (IDT) of health care specialists, which develop an individualized care plan customized for each participant. While we assist families in caring for their loved ones, we include participants and their family members in their individualized care planning process. PACE (Program of All-Inclusive Care of the Elderly) is a unique program designed to help elderly members of the community remain in their homes as long as it is medically feasible and desired. Participants enrolled in the program receive a comprehensive plan of care that is tailored to their specific needs. Each PACE program participant is cared for by an Interdisciplinary Team. The participant’s plan is individualized and based on the participant’s specific needs. The team develops the participant’s plan of care. The participant is part of the care planning process with his/her team.